A very popular trolley, the one you see outside most Co-op and Budgens convenience stores. 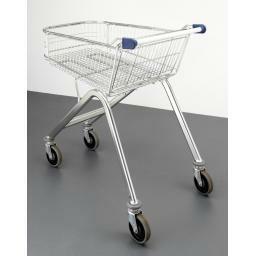 Popular with shoppers as the customers do not have to bend down to retrieve their shopping from the trolley. 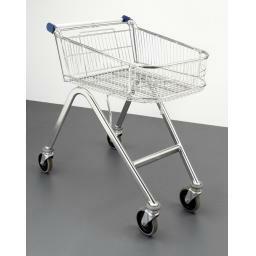 All our reconditioned trolleys are fully serviced, re-plated and new casters installed if required. They are a great option, like new.